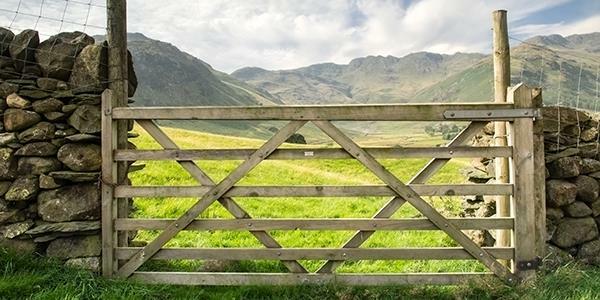 The Cumbria Way is a long distance linear footpath that bisects the Lake District National Park in a 70-mile route, travelling through some of Britain’s most iconic scenery. The trail links the two historic towns of Carlisle and Ulverston and winds its way in a north-south route through fells, over dales, across open countryside, along picturesque lakeside paths and through dense woodland habitat. It’s a walk that provides you with a fantastic excuse to get out and about and allows you to discover a vast amount of wildlife along the way. The Lake District has so much to offer in terms of nature and landscape, it is easy to see why this stunning area of England is not only a National Park, but also a UNESCO World Heritage Site. The Cumbria Way is relatively easy to pick up and drop as and when you wish to (or you could challenge yourself to the full 70 miles and walk it in stages!). Because it is waymarked and crosses such varying landscapes it’s a great one to make your own and is simple to park and walk just your desired section. The waymarkers are little green and yellow circular signs with an arrow that will keep you on the right tracks. At Merlewood you are just a 20-minute drive from Ulverston, so you may choose to start your walk from there. The historic market town is just north of Morecambe Bay and has several listed buildings, particularly around the market square. If you are planning on visiting, it’s worth coming on a Thursday or a Saturday, which is the market days. The start of the Cumbria Way can be found in The Gill Car Park, which is north of the main centre of Ulverston and stage one of the Cumbria Way will take you on a 15-mile adventure north to Coniston. The section is very beautiful, covering open fields and then hugging the western shore of Coniston Water. You’ll have wonderful views over the lake to Grizedale Forest and will see some great rock formations too. If you take a look at the WalkLakes website you’ll be able to see a really detailed map to help you plan your journey. Merlewood is beautifully located just north of Grange over Sands on Morecambe Bay. To get to Ulverston you’ll be travelling 20 minutes by car. Aim for the A590 towards Barrow and Newby Bridge and it will loop you straight to Ulverston.